Results obtained on a 8” concrete slab WITHOUT a suspended ceiling. Acoustical ratings are for information only. 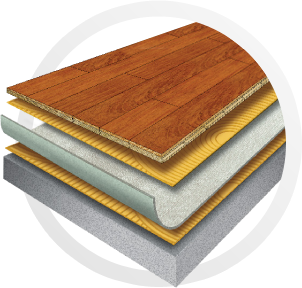 Choice of floor covering, quality of construction materials and method of installation can affect acoustical ratings. Acousti-Tech Lead 6, 4.5 and 3.3 are high quality membranes that successfully passed industry most recognized tests.